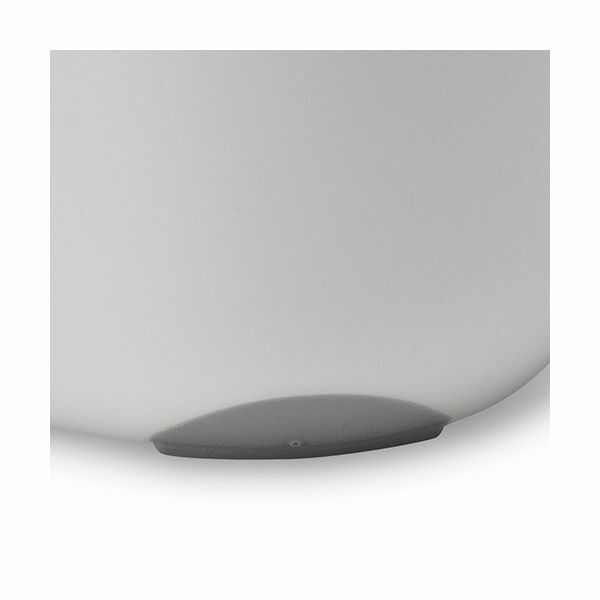 Addis Compost Caddy White / Metallic Grey 515631 This white and metalic grey compost caddy from Addis is a stylish and discreet way to store food waste in the kitchen. 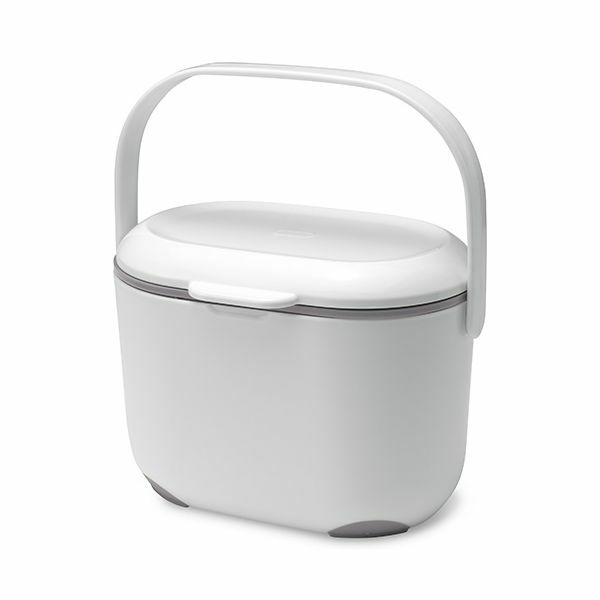 This white and metallic grey compost caddy from Addis is a stylish and discreet way to store food waste in the kitchen. The Addis compost caddy is made from durable and hard wearing plastic and filling it with waste food is easy thanks to the wide stay-open lid. 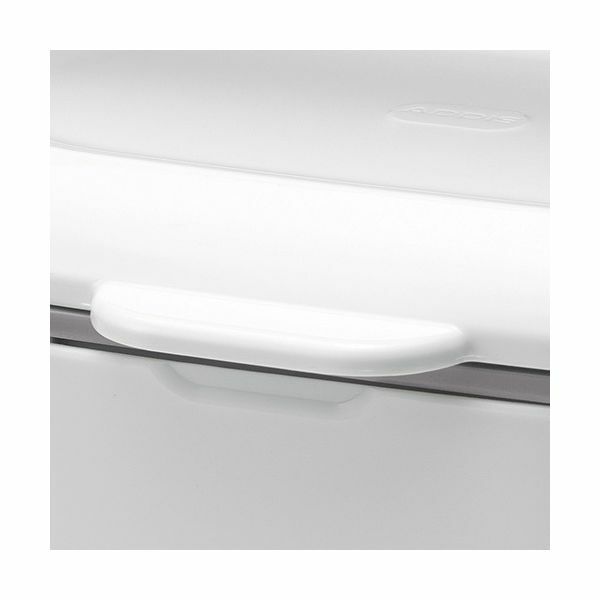 Soft touch non-stick feet will stop the compost caddy from slipping across and damaging your worktop. The inner bucket is removable and can be put in the dishwasher for thorough cleaning (or just wipe with a damp cloth). A compost liner can be used instead of the inner bucket if desired. Compost caddy dimensions: 245mm x 175mm x 180mm.